The fall of the banks, which started last year, has become the most significant in the history of the banking system of independent Ukraine. First deputy head of the NBU Alexander Pisaruk spoke in an interview with UNIAN about the causes. The purification of the Ukrainian banking system continues. As on the last few Fridays, on March, 20 the National Bank declared two more financial institutions insolvent. The first was Astra Bank owned by Nikolai Laguna. The decision was of no surprise in the wake of a similar outcome for three of his other banks just two weeks earlier. Another bank called the Kievan Rus', a small one, was also brought to a halt. Until recently, it performed payments out of deposits in the name of several insolvent banks, as well as servicing budgetary operations for the payment of unemployment benefits. In total, the scale of the fall of the banks, taking into account 33 financial institutions having gone bankrupt in 2014 and 13 more this year, was the most significant in the history of the banking system of independent Ukraine. Some of the largest banks also fell into the grinders - VAB-Bank, Bank Nadra (again, after its resuscitation in 2009) and the systemic "Delta Bank." 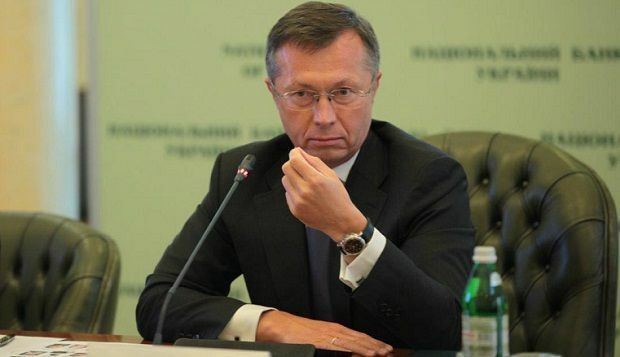 The Individual Deposit Guarantee Fund, which fulfills an honorable mission of withdrawing banks from the market, has failed to provide a mass cleansing of financial institutions using its own resources, thus receiving in 2014 $20 billion loans from the NBU and the government, and another $10 billion in 2015. Meanwhile, together with the external factors and the military operations in the east of the country, the massive fall of Ukraine’s banks continues to fuel the negative sentiment of investors. During a parliament speech, a head of the NBU Valery Gontareva reported that the outflow of deposits amounted to $126 billion last year and increased by $18 billion in January-February this year. It is logical that in the wake of the latest events investors simply don’t know what bank can be trusted to safeguard their savings. The first deputy head of the National Bank of Ukraine Alexander Pisaruk, who oversees the banking supervision activities, in an interview with UNIAN talked about the reasons for the fall of the banks, and predicted when the cleansing of the banking system will be completed, while reporting on the further actions planned by the NBU. At what stage is the process of cleansing of the banking system? Can the depositors now stop being afraid that yet another bank will be closed tomorrow? To date, we have done most of the work. It all depends not only on the actions of the National Bank as a regulator, but also on political events, developments in the east of the country. Given relative stability, as we are seeing it now, we are close to completing the process. If you look at the list of banks that in the past year have left the market, you will see that the banks with most problems are already in the Guarantee Fund. It’s definitely not all. The cleansing process will last for another two or three months. The picture with the first and second group of banks will become clear by the summer. In the future, more bankruptcies of smaller banks are possible, but it will not affect the system, with all due respect to them. In developed countries bank failures occur regularly. This is a natural process. That is the big banks - the first-second group which have real systemic influence. We’ll wipe out the problems in these groups, then everything else will be easier. Then there will be work on returning depositors to the banking system. How can one return deposits to banks? First of all, [public] confidence in banks needs to be restored, allowing depositors to use their money. Restrictions on deposits imposed as a necessary measure, do not contribute to trust. Restrictions need to be lifted, and this will be done, but first we had to clean the banking system a little of “zombie-banks” that can’t support their liquidity. Depositors shouldn’t worry - we will cleanse the banking system, and the remaining banks will be much healthier. Afterwards, we will develop a plan for lifting the restrictions – we are considering it now. Two or three more months, and we will start doing it, and that will be the core element of returning confidence. What about the outflow of deposits? In recent years the dynamics have not changed much. There is a feeling that money flows from the banks like water. The connection with the latest restrictions can be traced – people take out as much money as they can. Small monthly changes depend on what is happening in the east of the country, but on average the trend is the same. This brings us back again to the idea that depositors are nervous - as banks are falling, but money can’t be taken out due to restrictions. These are the problems we are solving. [The problem of] falling banks – with cleansing, which will soon be completed. The restrictions will be abolished. The first reaction to lifting of restrictions will be “Finally” - people will start taking out their money. But then, when there are no free deposit boxes and when it becomes obvious that keeping money at home is not safe and not profitable, and at the same time, the banks stop collapsing – people will give their money to reliable banks. I think that the outflow of deposits will have stopped by the middle of this year. Which banks will depositors choose, judging by their recent mood? In terms of liquidity, we can clearly see the bundle: liquidity is concentrated in the large state-owned and foreign banks. Foreign banks comprise the most stable, disciplined and controlled part of the system. Ukrainian banks in general suffer more than others. Our tasks in the process of cleansing the system include understanding which of them [Ukrainian banks] are normal. We make them perform capitalization; generate liquidity through managing their own balance sheet. Those who comply, we support with refinancing loans. At what stage is the additional capitalization of banks, according to the results of stress testing? In agreement with the IMF [International Monetary Fund], the deadline for implementation of capitalization plans is June, 30. All banks have confirmed and partially completed the scheduled arrangements. There is no doubt that they will do everything on time. The process is on its way, including registration and legal procedures. Therefore, I am absolutely sure that the banks of the first-second group, which are included in the additional capitalization plan, will perform it on time. And what about the categorical statement by one foreign bank that it does not intend to replenish its capital? We must understand that foreign banks are accustomed to the rule of law, transparency, and predictability. Some would like to leave but they can’t. The bank of which you are speaking objectively needs additional capitalization, according to the results of a stress test. This puts pressure on the group - there is not so much capital in Western banks now. The European Central Bank held its own stress tests. The Ukrainian branch, due to the country’s low rating, high risks and a poor-quality portfolio, puts pressure on rates. Nevertheless, the parent bank is required to maintain its subsidiary in Ukraine. Nobody is asking it to grow this business, but it has to be maintained. This bank will be capitalized. What’s good about foreign banks is that they care about their reputation. Will the cleansing of the banking system make it attractive to foreign investors? Cleansing the system is not enough. The regulatory environment needs to be improved – providing protection of creditors' rights; the external environment - reducing the political risks; the judiciary system – providing for the predictability of court rulings; bailiff proceedings – providing for the ability to collect deposits, reduce corruption in the judiciary and the bailiff service. Predictable legislation and the enforcement outcome are needed. Without this, nothing will happen. In addition, we have the war. No one will rush to invest in a country with the ongoing war. When the situation deescalates, we will work on improving the regulatory environment, legislation and, most importantly, battling corruption, everything will work out. But it may take several years. We have drafted a package of bills and count on the support of the Verkhovna Rada. Without passing these bills there is no way of making banking business more reliable. Of course, these laws have yet to be put into practice, and that is already in the competence of the courts and the bailiff service. After cleansing, the protection of creditors' rights is very important to the stability of the banking system in the future. And passing of these bills in parliament will be the touchstone of Ukraine’s reforms. Is there a conflict of interest with the MPs? Of course there is. It was evident when the law on strengthening the liability of bank owners and managers had passed through parliament with great difficulties. A set of measures was set to prevent the banks from being emptied out before being sent under administration of the Guarantee Fund. Personal responsibility of management and owners of banks for mismanagement of assets, “collapse” of loans and deposits, fragmentation of deposits, and manipulations in reports. There must be responsibility for such actions, and we have done everything to draft a heavier administrative and criminal responsibility in that bill. Now it is necessary to apply this law in practice, to see how law enforcement and the courts will work with the material that is sent by the Guarantee Fund. You can ask the fund - how much material has been transferred to the courts and what was the result? Has anyone ever even been punished in Ukraine? We can say, no one has. We did not have the [necessary] law, but now we do. But until some demonstrative examples take place of punishment for bankers and bank owners who had committed unacceptable crimes, no supervision will ever solve this problem. That's the essence of the law - doing something illegal must be frightening, because it provides for responsibility. Do you know whom to punish? How is the work going on the disclosure of the real owners of banks? We are actively working to make the ownership structure as transparent as possible. This is the key point of stability of the banking system. When you don’t know who stands behind the bank, it is impossible to work on the bank’s additional capitalization, maintaining financial stability. Our task is to determine the real owners, the origins of their funds, whether they can maintain their banks; to unravel the tangles in structures of ownership, which are hidden in layers of offshore companies in different jurisdictions. Legally it was not spelled out, but we will make sure we have enough levers and tools for the disclosure of ownership structures. There are already dozens of people who came to us admitting that they were the real owners of banks, quite a lot, actually. We are working with everybody. I am confident that this year we will be able to make the ownership structure of Ukrainian banks transparent to a large extent, if not entirely. In addition to increasing the liability of owners of banks, what else should be done to prevent the crisis from repeating? Firstly, it’s the bank supervision system of early warning. We always arrive late, and there are two reasons for this. Methodology reasons - a set of indicators for the analysis to determine whether there are problems in the bank. We are at the finishing line of improving them, discussing them with the IMF. And I assure you, it will be a good system. Now it [the analysis] is based on the reports which used to contain and still contain distorted data. But then again, the law has been adopted to strengthen the responsibility of the owners and management of banks, including misreporting. We warned all bankers to not take any offense after the adoption of the law. There will be some transition period as a chance to get clear [of trouble]. But then - we will find them, punish them, put them on the black lists, and they will never be able work in the banking system. So it should be, because otherwise we will always be too late to respond to the banks’ problems. The second is the functions and the quality of supervision. We will continue to work on this, preventing the devastation of banks by their owners and management. Everyone thinks that the supervisors are the all-powerful people, but they are not. They are not the liquidators of the Guarantee Fund, who really control everything. They can say "no", but they can also be ignored. Strengthening functions of supervisors is impossible without legal and professional protection that exists worldwide. If supervisors act in good faith and within they powers, they must be protected. At the end of last year, you said that the NBU supervisors were working in 40 banks. How many of them are there now as they are now? What are the supervisors’ steps if they see that some discreditable transactions are performed? Are there examples of the introduction of an interim administration at his signal: Imexbank, Delta, Nadra? The main point for the supervisors is to pass the information on to their chiefs who, in turn, inform the board of the NBU. Then the hard talk with bank management begins. We did have had cases when temporary administration was introduced at the supervisor’s signal. Imexbank is just one example, when the supervisor’s signal came later than it should have. There were other examples, when supervisors signaled in a timely manner. Delta Bank is a different case. This is a systemic bank, for which it was necessary to decide on the full or partial nationalization after its cleaning or on its liquidation. It was a difficult decision. Supervisors worked there, too, but the bank has lost its liquidity long before that. As has the bank Nadra. It is too early to analyze – the Guarantee Fund scrutinizes the last days and months of the bank’s life, and then shares information with us. We are required to conduct such an analysis according to the memorandum signed with the IMF. The Fund is already dealing with fifty banks, including major players. Has it enough resources? The Fund will always be provided with financial resources. The thing is that the Fund’s task is not only to pay cash money to the depositor. There is an important macro-task of stabilizing the deposits in the banking system. Here the choice of agent banks for payments that will work with depositors and convince them not to leave plays the special role. Statistics says that the about 40% of depositors on average stick to the banks that conduct payments. In some cases it’s even 50% or more. The task of the National Bank and the Fund is to increase this percentage, increase confidence in the banking system, prevent money from flowing out to the “black market” or under the mattress. To do this, number of issues need to be resolved; the bank selection criteria need to be modified. We have them, but we will try to improve them. And the banks themselves must do more. They are working in this direction, and the Fund is analyzing the statistic results. Only financially stable banks, which in the future will not cause problems, will remain on the list of agents, so that not to multiply the effect of distrust. Unfortunately, we’ve had such cases in the past, and the task of the Fund and of the National Bank is to prevent this from happening in the future. We analyze money laundering through cash transactions and clearly see that the volume of such transactions for the banks the third and fourth groups has sharply decreased. There has happened what we warned about back in the fall: theNational Bank showed an active struggle with the “laundries”, and this activity has moved to larger banks, where it is difficult to identify. We are currently working with major banks, helping to strengthen the financial monitoring service to keep track of such cases. We track the migration of conversion centers between the banks, sometimes the fiscal office detects it. We're all working on it, trying to identify [existing] conversion centers and prevent the opening of new ones. It’s not an easy process. The small banks that specialized in this are almost gone. On February, 6, a new law came into force that allows for their liquidation by an accelerated procedure. But to withdraw the bank from the market according to the new rules, that is, to liquidate them immediately, not through the Guarantee Fund, new factual material is needed. The National Bank’s determination to fight the “laundry banks” has not subsided. Perhaps the visible effect of this struggle has decreased due to the fact that we took down the basic platforms. None of professional “laundry banks”, which we have withdrawn from the market, came back from the Guarantee Fund. Although this group had a lot of buyers. Including the former shareholders, through their nominees. But as you can see, no one bought anything. What will happen to Russian banks operating in the Ukrainian market? I wouldn’t politicize the issue. In fact, these are Ukrainian banks with Russian capital. They are part of the banking system, regardless of political events, and they are disciplined enough. They give loans to Ukrainian companies, serve Ukrainian depositors. They do socially important work. Our task, however it may be perceived, is to maintain the stability and efficiency of the banking system. What is the total price of cleansing the banking system and how much money can be returned at the expense of the shareholders of the liquidated banks? I would not predict how much money could be returned until we try out in practice the new law on the liability of shareholders. As for the price of cleansing, it is the confidence of depositors, which is at least temporarily undermined today. It’s also the outflow of deposits, the cost of budget financing of the Guarantee Fund. Cleansing is an inevitable process. This should have been done before, in a relatively peaceful time. The whole world was doing it after the 2008 crisis - in 2009-2010. We did nothing but wait for the most difficult year, when the war began. But we have no alternative to cleansing the banking system. You can’t keep “zombie banks” in the system and continue pumping them with money. You can’t let the problem slip out of control. There is a price issue, but the positive thing is that depositors' confidence will be restored and the system will become healthier, carrying out its function of a financial intermediary, economy’s creditor, and a savings institution. It will be this way, I am sure. What is the optimal volume of the system for our country? How many banks will remain after cleansing? We don’t have and can’t have any specific numbers. I once said that more than a hundred banks is not necessary in Ukraine, but it is a subjective evaluation. Whether there are 100 or 120 banks – it is not important. The system will get itself settled, and we will come to some optimal number. The main thing is for them all to be stable. We have no preferences as for the size of the bank. Despite the fact that the big banks have a greater systemic effect, as in any other country, we have a place for smaller banks that are working properly and act in legal framework. To sum up the issue, what are the main causes of the of mass bank failures that have taken place? It all started with the Revolution of Dignity. With all the positive aspects, with all due respect, the highest dynamics of the outflow of deposits happened in February and March of last year. Revolutions of such magnitude affect the stability of the banking system. So did the subsequent annexation of the Crimea and military operations in the Donbas. The second thing is that the banking system has not been cleansed in time. And it would still have hit us, but not so quickly and on a smaller scale. Revolution served as a powerful catalyst for something that would have happened anyway. There were plenty of insolvent banks in the banking system, “zombie banks”, “laundry banks”, undercapitalized institutions. We are working on this issue. What is the key difference between the current banking supervision by the National Bank and the one by its former administration? What distinguishes supervision now, is its integrity. We, together with the NBU chiefs don’t negotiate by the rules of the underworld, as it used to be before. We are guided only by professional principles. All the shareholders and managers of the banks with whom we have been working are already convinced of this.